Recently, another modern plant was opened in Ukraine. The main activity of the new enterprise is the piece and serial production of plastic products. 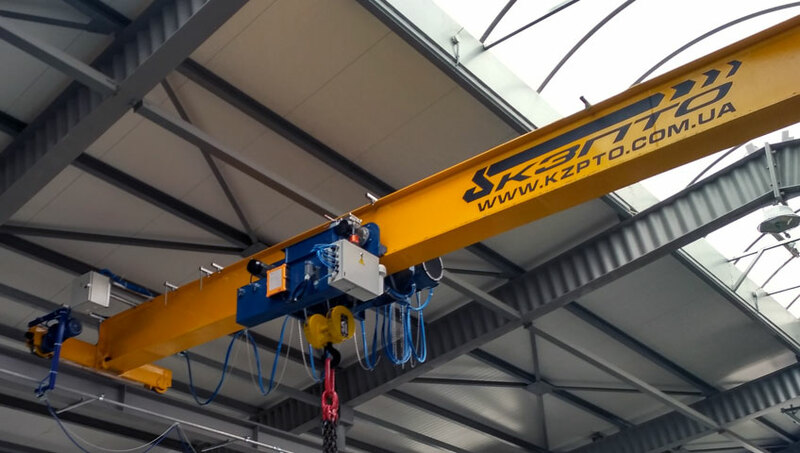 It is here that 2 new bridge cranes of the «Kyiv Crane Machinery Plant LLC» will be actively involved in the technological process. 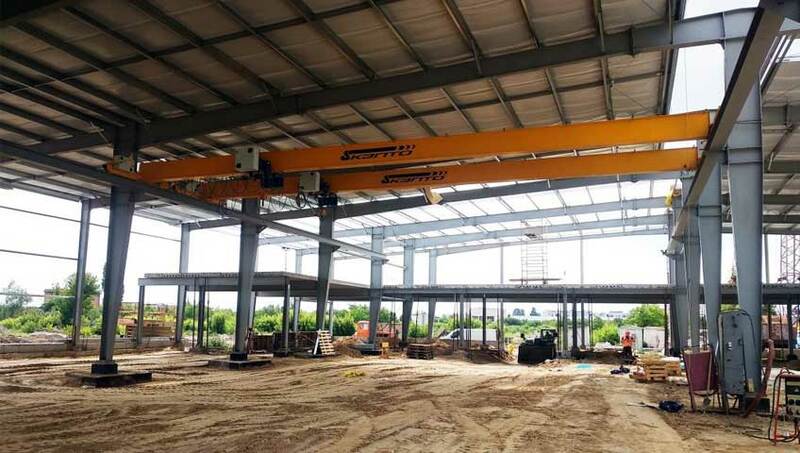 The main task of the cranes installed at the production sites is to feed the matrix blanks (molds) to the machines, as well as the overall heavy machine components and components for replacing the installed ones that have worn out and failed. 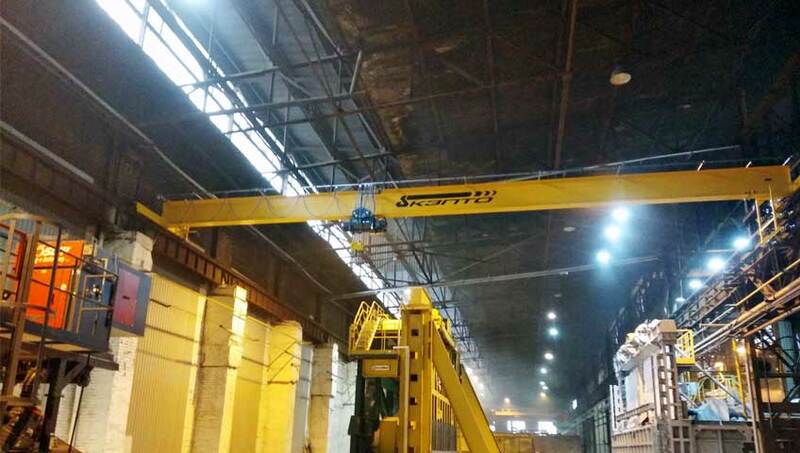 Overhead crane was manufactured for a large enterprise producing refractory products. 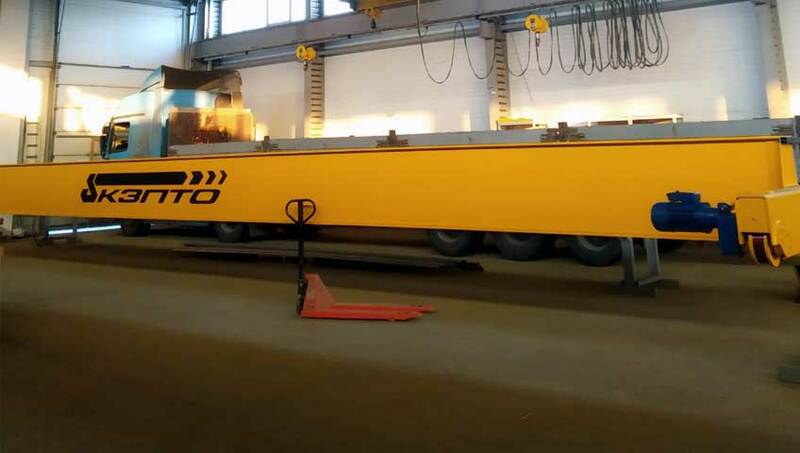 The team of «Kyiv Crane Machinery Plant LLC» in a short time developed a project and manufactured a bridge supporting single-girder crane of model KMO-3.2-13.4-5.0-А5. At this time, the crane machine has successfully passed the test assembly and is ready for shipment. For the plant, which is one of the leaders of the Ukrainian market for the production of pumping equipment, overhead bridge cranes OC-5.0-16.5-7.0-A5, OC-10.0-7.5-6 were manufactured at «Kyiv Crane Machinery Plant LLC». 66-A6, OC-5.0-22.5-7.0-A6, OC-10.0-16.5-7.75-A6 in the foundry version and OC-0.5-7.0-7 , 0-A3 common industrial purpose. 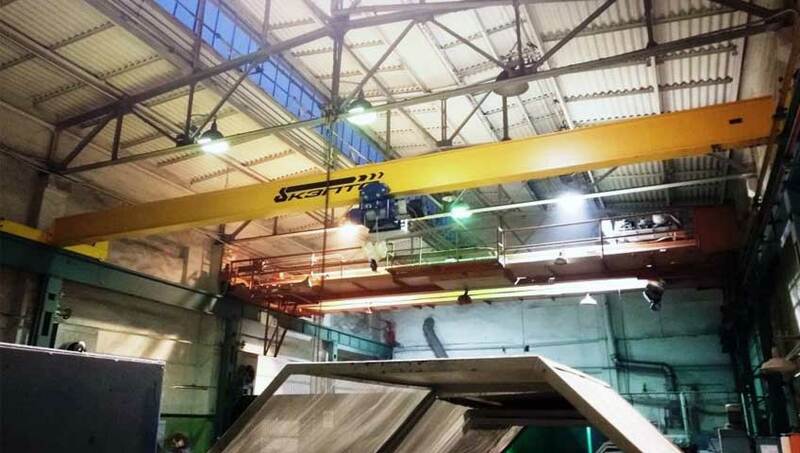 The enterprise of «Kyiv Crane Machinery Plant LLC» manufactured, installed and installed a single-girder overhead bridge crane with a lifting capacity of 5.0 tons, a span of 11.2 m at a radio control for a ship repair company in the Odessa region.